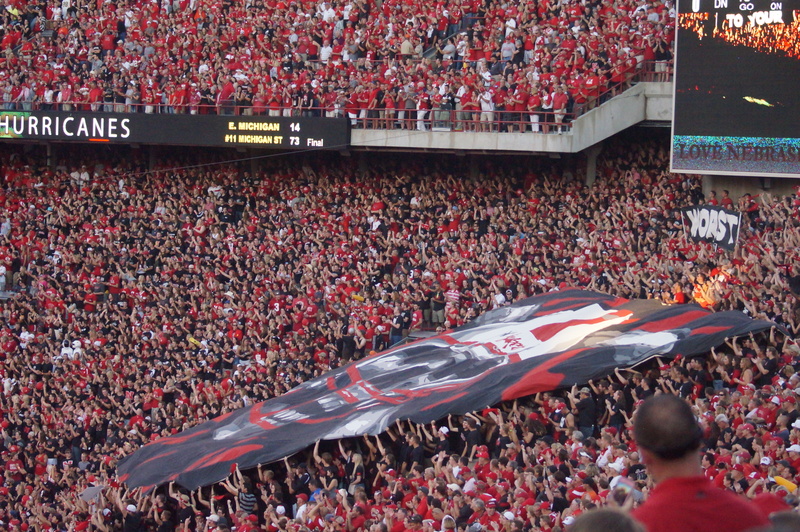 Nebraska football fans know it’s never too early to look towards recruiting for 2016. New head coach Mike Riley took the job in late 2014, and so has not yet had a full recruiting season to show off his skills. 2016 will be the first time Nebraska fans will truly get an idea of how skilled Riley and his staff are at luring top talent to Lincoln. At this stage, trying to determine who a school’s top targets are is a bit of a guessing game. But here are three targets that we know Nebraska has interest in, and would make sense given the needs on the roster. All measurable and rankings from 247 Sports. As a smart and particularly handsome analyst observed, there’s now no question that Riley’s offense will at least be moving towards a pro-style system. In addition to the statements from the coaches and players, one clue about the direction of Nebraska’s offense can come from its recruiting targets. Of the three top targets for Nebraska as listed by 247 Sports, only one remains uncommitted. That is Haskins, a pro-style quarterback from Maryland. With the five quarterbacks currently on Nebraska’s roster all at some level being dual-threat signal-callers, Haskins would represent a departure in skill set and provide a very different option for Riley if he were to arrive in Lincoln next year. Nebraska’s biggest position of need in 2016 remains at linebacker. Even with signing five linebackers in 2015, Nebraska will only have ten scholarship players at the position in 2016. Combine that with new defensive coordinator Mark Banker’s preference to play three linebackers, and the need for more depth at the position becomes clear. Of course, Ferns would be more than just depth. The inside linebacker from Ohio brings size and speed, and would be one of the prize signings of Nebraska’s 2016 class. Currently 33 schools have expressed interest in Ferns, with Ohio State apparently in the lead (according to 247 Sports). But Nebraska is in play for Ferns, and his addition to the class would be incredibly important. Like Ferns, White would be an ideal addition to Nebraska’s lineup. White’s primary attraction for Nebraska certainly would be at linebacker, where NU’s need is well-documented. And the athlete from Louisiana would definitely be an attractive target for the position, given his four-star ranking. But the fact that White has the potential to play at running back also adds a degree of flexibility, making him even more attractive of a target. White currently has interest from 11 schools, with LSU being currently in the lead (according to 247 Sports). But Nebraska has had a history of getting athletes out of the Bayou State, and White would be an impressive addition to that history.